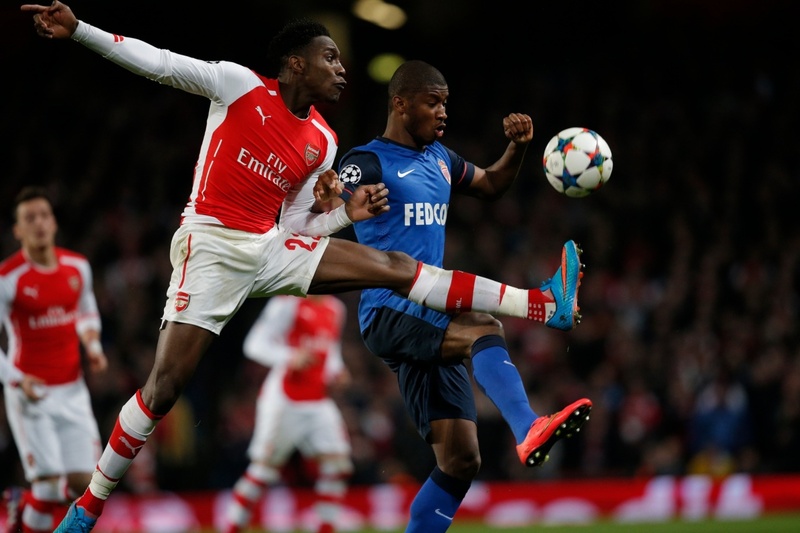 The “Old Lady” reached the semi-finals after a goalless draw, at Monaco’s stadium Louis II. First’s leg result 1-0 and the controversial penalty in favor of the Italian club, were more important than one might think. Massimiliano’s Allegri side, produced a good defensive game and obtained the draw, by preventing any serious breaking from the Monégasque side. 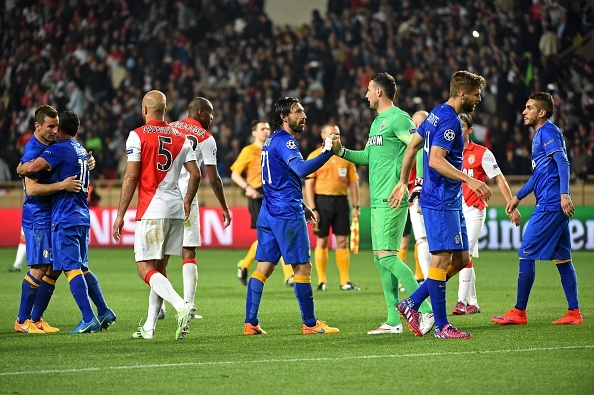 Monaco dominated possession and they managed to threaten their opponents once or twice, but they were unable to pass against the experienced Italian Champions. Where would be the “bianconeri” without their charismatic custodian? 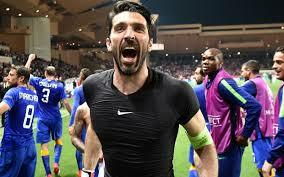 Another good solid game from Gigi : a busy night, (55th 91st) producing another impressive performance. A quiet game from the Swiss International; he avoided any forward action, but defended well in front of Ferreira-Carrasco and Martial. Very good defending, solid as a rock; he never lost a duel and showed his excellent vision of the game.He was the best man on the Monégasque pitch. Apart from an unnecessary yellow card early in the game, obliging him to be careful for the rest of it, the Italian defender was solid at back, aggressive on the duels and he helped his team, by keeping away any danger. The World Cup 2006 winner, kept Monaco’s attackers at bay, by producing a good, solid defensive game. Always in the right place, he also helped to eliminate several balls in the danger area. Good game from the experienced French International; he was composed at the back, good with the ball, and made a great clearance off the line, at the start of the second half. Replaced by Padoin ( 90th). He was quite active during the game, but lost many balls and committed a great number of fouls. Subbed by Pereyra (77th). Good distribution from the Italian International, but he still isn’t as good as he used to be, before his injury. Nevertheless, he was the master of the game and he could have scored on a set piece(89th). Very good in defending, but offered little in attack. He pressed well and was available to help, when needed. The young Spaniard had a disappointing evening at Louis II. He missed a good opportunity to shine, by not serving a golden ball to Tevez(58th). Replaced by Llorente in the second half. He used the ball well; he pressed well to defend, but despite his goodwill, he was muted by Monaco’s defense. A quiet evening for Monaco’s goalkeeper: with Juventus sitting deep, he only had some minor saves to do(23rd 26th). Saved by his post at the end of the game(90th). He started well, doing some serious job (10th 17th) but was less effective towards the end. Sound defense and some dangerous crosses in the opposition box. The Italian’s game was quite average. He started well (6th 9th 38th) but lost the ball in front of Tevez. Didn’t have much to do in the second half, for Juventus wasn’t hitting forward. Good defending though. Excellent defending, from the Tunisian International; the best Monégasque on the pitch. Solid, very physical against his opponents, he saved a crucial ball from Morata( (58th) and almost scored on a set piece(50th).Good partnership with his fellow defenders. He offered great support to his team, by running like a Formula 1 but not effective enough. Some bad passing though, he should have done better. It’s not easy to get a good performance from someone he comes back from injury: the Frenchman wasn’t his usual self, he was replaced (46th) by Dmitar Berbatov : 6/10 whose attacking quality brought a couple of good link-up plays forward, but he was not able to threaten Bouffon. As good as usual, but his efforts weren’t on target; he intercepted many balls et he could/should get a penalty (36th). Yellowcarded (77th). He was consistent and because of his tenacity, Chiellini got a yellow at the start of the game.The Portuguese managed well but without making any important contribution, during the game. He never was a threat to his opponents; better in the second half (47th 49th 56th) he was replaced by Matheus (87th). The 20 year-old, showed his great class one more time. 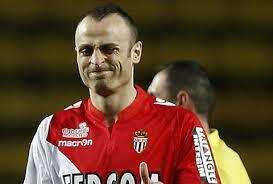 Good performance during most of the game, he was involved in most of Monaco’s attacks ;yellowcarded (50th). A night to forget for the Monégasque; he tried, but after a good 15 minutes period and some nice pressing (20th 24th) he just disappeared not being able to link with his teammates or create any chance to score. Subbed by Germain (76th).